When you work alongside a client for over ten years, as Seaberg has worked with Dave Jordano, you develop a deeper appreciation for their aesthetic. In Dave’s case, he has expressed an enduring passion for photography since his youth and that translates to an experienced eye that can assess his subject’s story and tell it without bias. As an artist who proclaims his destiny to be a cultural documentarian, someone with as confident an artistic voice as his can speak volumes with certainty of the truth that his lens captures. It was fate. I was in the military in 1968 stationed in Germany and a friend had a camera with a few frames left on the roll. He mentioned that we take a picture of each other and then go down to the local photo lab to process the film and make some black and white prints to send back to our parents. The moment I put the roll of film onto the reel I knew that photography was going to be my life’s career. It was what you would call an epiphany and now I’m celebrating my 50th year as a photographer! How has your art evolved over time, whether in theme, subject, style, or execution? I went to school with a strong interest in documentary photography, but after moving to Chicago in 1977 I opened a commercial studio where I specialized in food and product photography. For over thirty years I worked with advertising agency art directors producing major ad campaigns for leading clients. I returned to making personal documentary projects around 2000 and have since produced several projects. You might say I’ve returned to my roots and have made the transition to only making fine art documentary work. Interesting enough, I still photograph much like I did back in the early 70’s. The change in approach to the work varies depending on what I’m trying to reveal, but the principal overall direction and execution of the work remains within the documentary genre. How would you describe the focus and style of your photography? I think the best way to describe my photographic style is the term, cultural documentarian. I work on long term projects that can take years to complete and they always involve some aspect of or become about a certain segment of society. 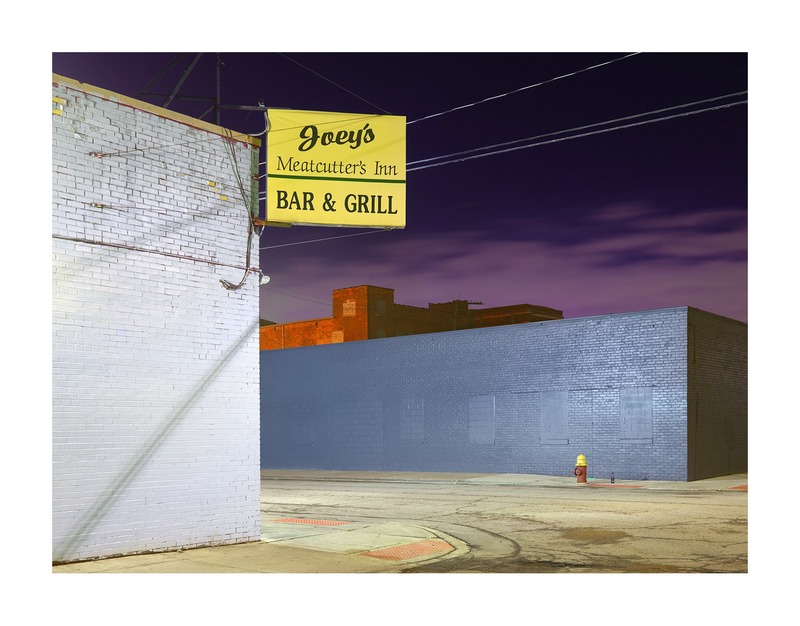 That ranges from documenting the interiors of small African American storefront churches on the south side of Chicago to making night photographs in Detroit of small commercial establishments that support residents in struggling communities. What was the first project with which you and Seaberg collaborated? I was included in a group show at the Museum of Contemporary Photography in 2008 called Beyond the Backyard where I had three large pieces framed and mounted by Seaberg. What was the most recent project Seaberg worked on for you? I recently had three pieces in two separate exhibitions this year at the Center for Fine Art Photography in Fort Collins, Colorado as well as a large piece that Seaberg framed for me for the Museum of Contemporary Photography Annual Fundraiser. That piece sold at auction and then one of the people who bid bought a second larger piece that Seaberg graciously donated the framing and mounting for. This is what I also love about Seaberg Framing, they give back to the community by donating their services for important causes. What is your favorite piece you’ve shot and why? 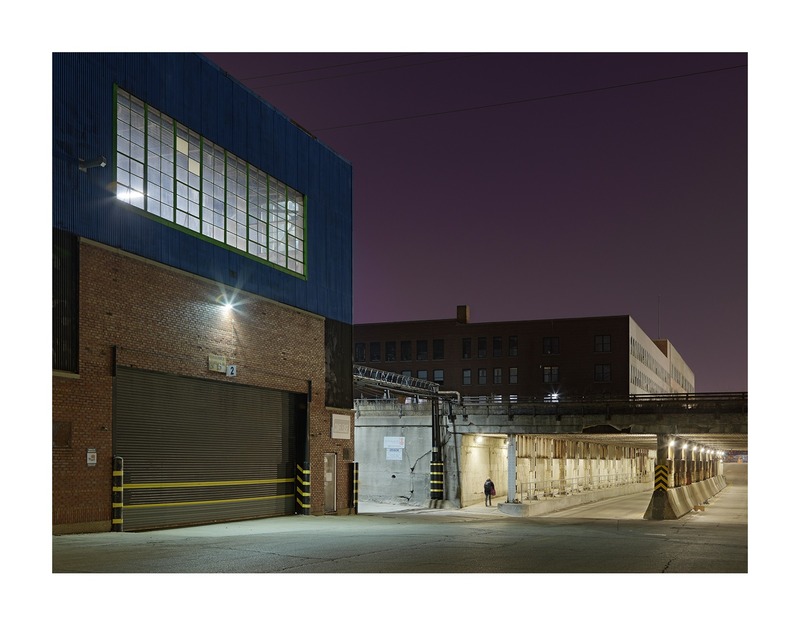 I’m currently working on making night photographs in Chicago and the surrounding area. 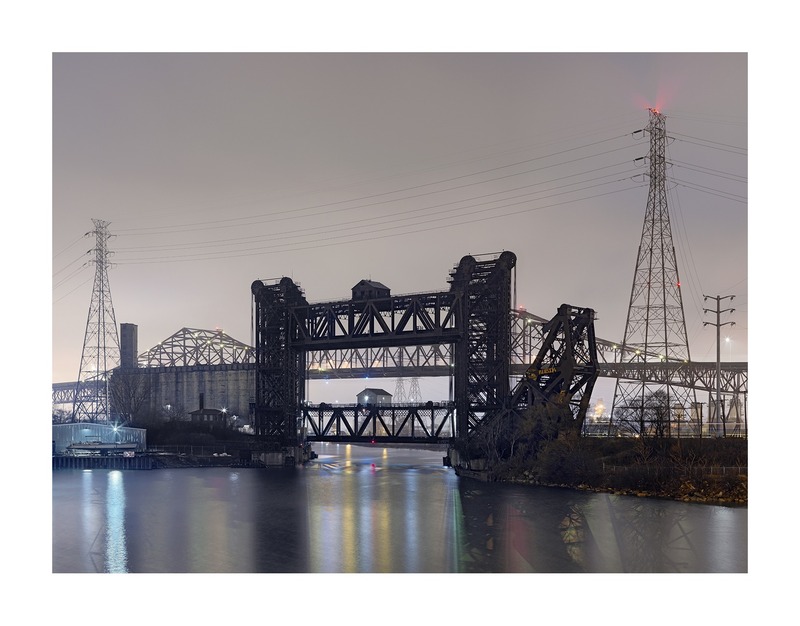 This work follows my most recent project of night photographs which I made in Detroit, culminating in my just published book by PowerHouse Books, Brooklyn NY titled A Detroit Nocturne. What else can you tell us about A Detroit Nocturne? 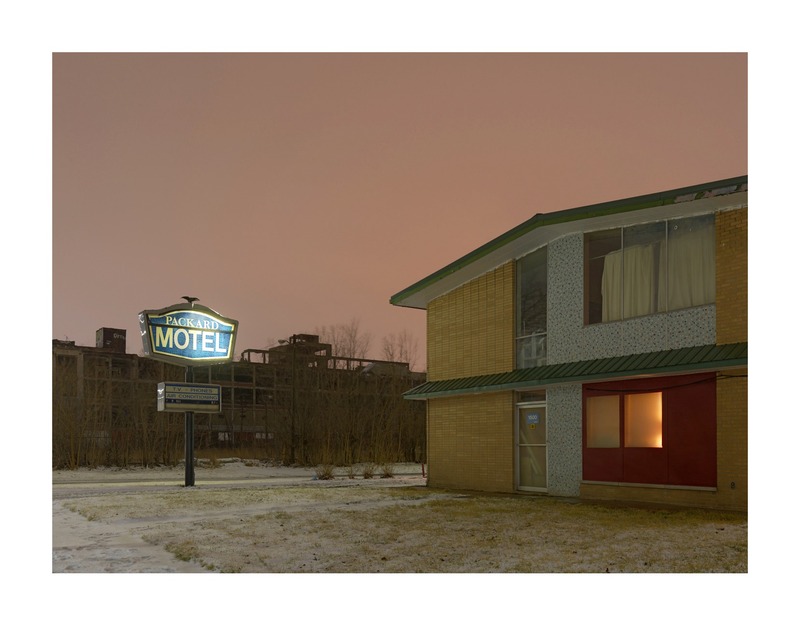 In a continuation of my previous work in Detroit: Unbroken Down which documented the lives of struggling residents, A Detroit Nocturne relies more heavily on the absence of the people who inhabit Detroit, but this is not say that I’m not aware of their presence. These photographs represent a visual document that speaks to the quiet determination of its residents, both as independent shop operators and as home owners who have survived the long and difficult path of living in a post-industrial city stripped of economic prosperity and opportunity. I’ve chosen to make these images at night not only to put more emphasis on their locale by presenting them in an unfamiliar light, but also to introduce a moment of quiet and calm reflection. Pieces of the past, present, and future are rendered here to carefully consider. They are after all the physical evidence of where we have carved out our collective ambitions and lived out our dreams. Do you have any new goals lined up? Just that I keep photography the main interest in my life. After 50 years it has become so much a part of me that it’s as natural as breathing. Finally, what advice would you give to an aspiring photographer? My best advice would be, no matter how talented you are, if you don’t have the passion and drive to stay the long term to develop your photographic vision, then you might consider looking for another profession. In any field of endeavor, dedication and hard work are key to accomplishing your goals and the creative process is no different than any other field in that respect. I like Thomas Edison’s quote, “Genius is one percent inspiration and ninety-nine percent perspiration.” There is no substitute for hard work. See more of Dave Jordano’s photography at his site or on Instagram.